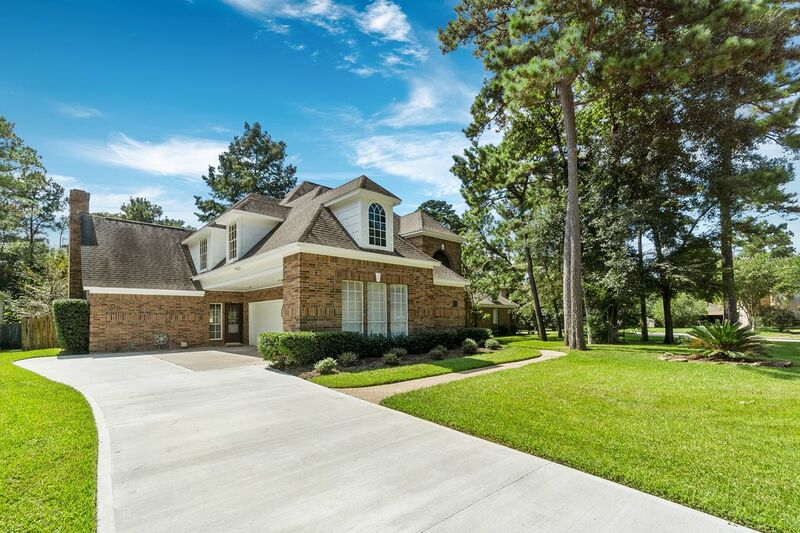 23 Highland Circle, The Woodalnds, TX 77381 | Martha Turner Sotheby's International Realty, Inc. 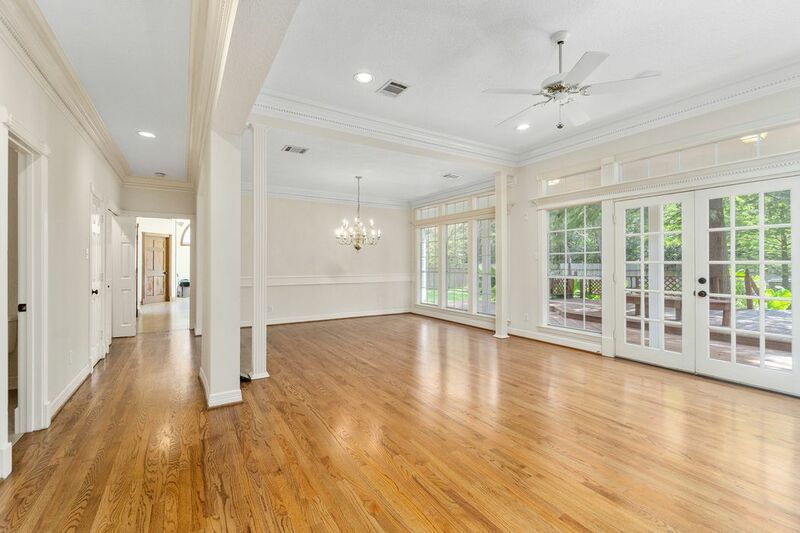 Virtually staged formal living and dining rooms. 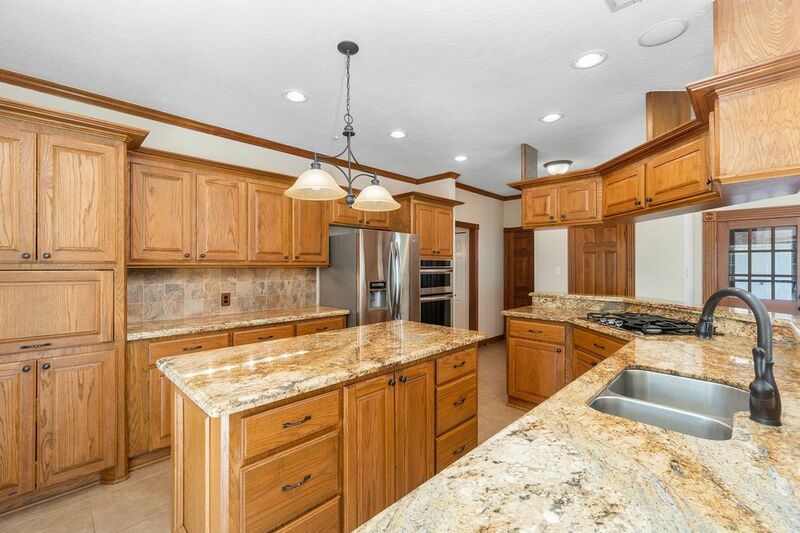 Beautiful Yellow River Granite counter tops. 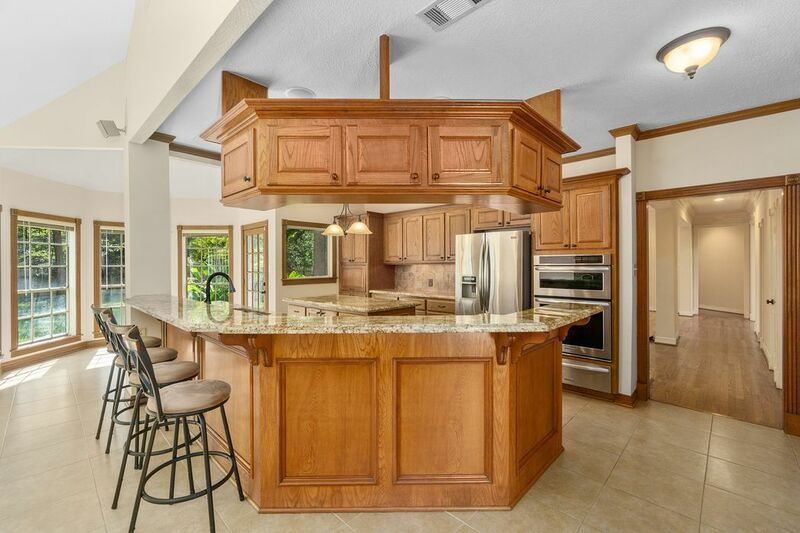 Lots of storage space found in this wonderful kitchen, additional cabinets floating above the bar area. Custom pull out drawer system found in the under counter top cabinets. Light and bright colors with popular white cabinetry. Double quartz counter top vanities and sinks. 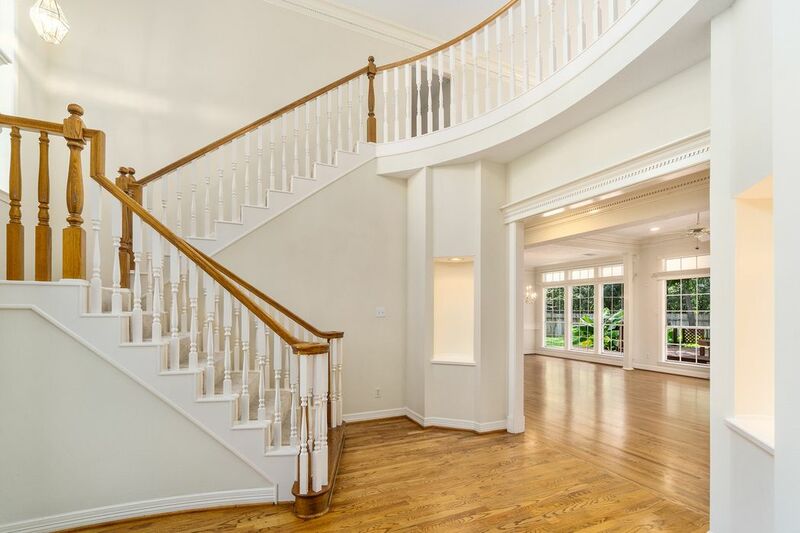 Stunning front foyer with extremely tall ceilings, beautiful arch windows and a wonderful positioned staircase with wooden decorative spindles. 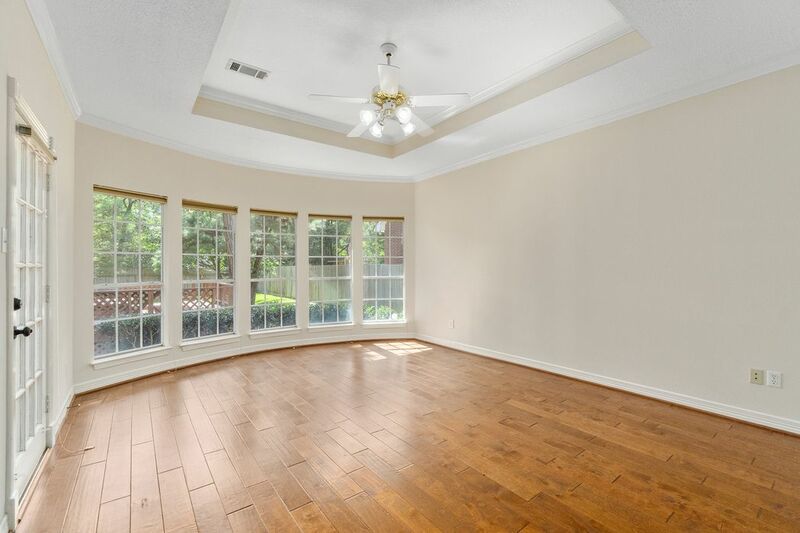 Beautiful two story home in Panther Creek of The Woodlands. 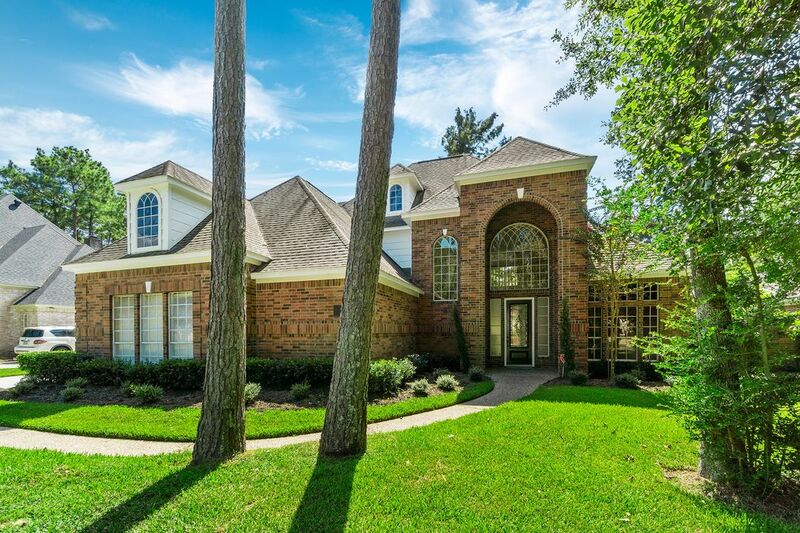 Located near all of The Woodlands attractions/Township. Short distance to fabulous restaurants and shopping. Perfect place to entertain. Decorative railing enhances the look of the deck. Lots of shade provided by the mature trees. Picnic table can be removed. Massive backyard with plenty of room for a pool. 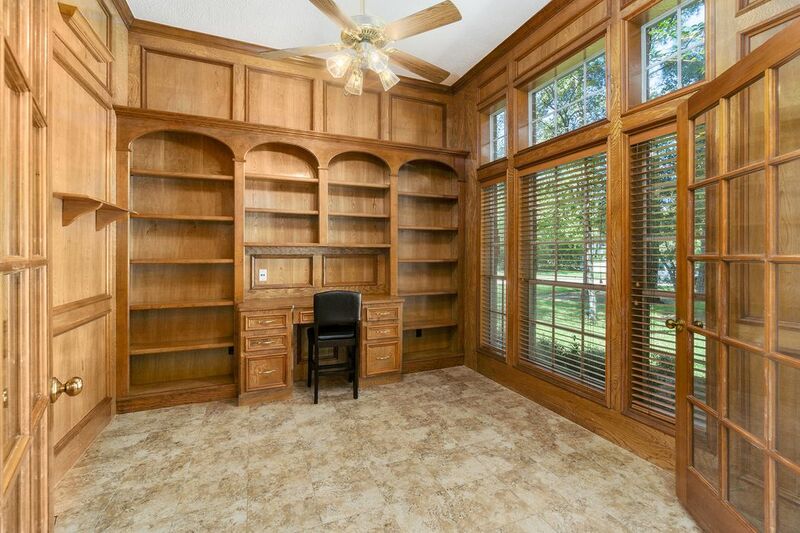 Rich warm wood walls and shelves creates a lovely study located at the front entrance of the home. Privacy can be added by closing the beautiful glass French doors. 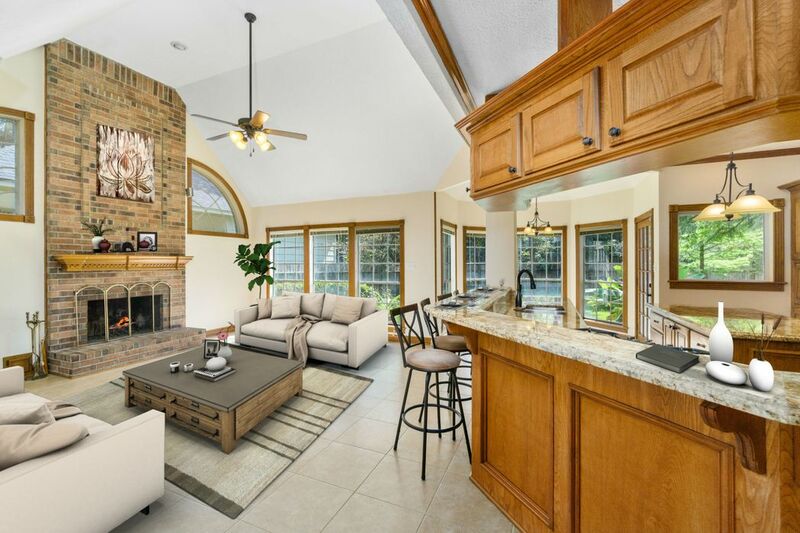 The fireplace is a wonderful focal point for the formal living area. Impressive custom finishes surround the fireplace. 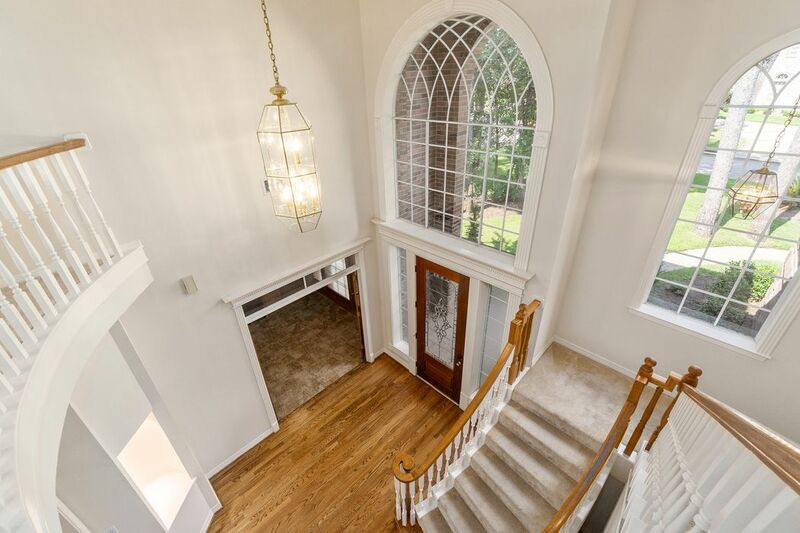 Detailed scalloped crown molding with layered wall of windows and columns along with the oak flooring is absolutely stunning. 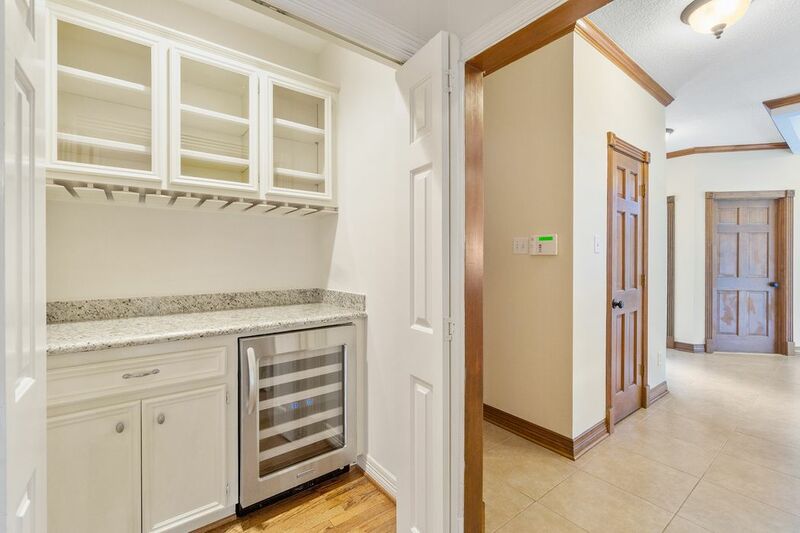 Bar located off the formals with wine frig that also has the option to be closed. Wonderful neighborhood with nature trees. 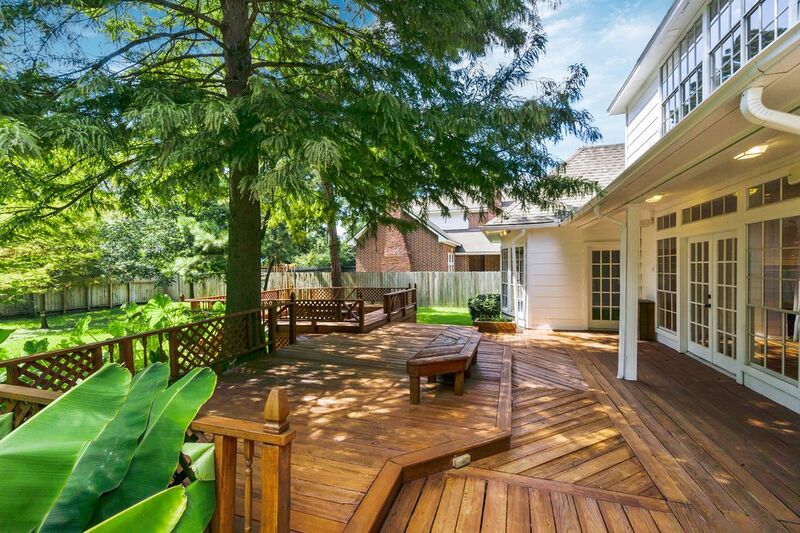 The yard has lush green landscaping and well manicured. 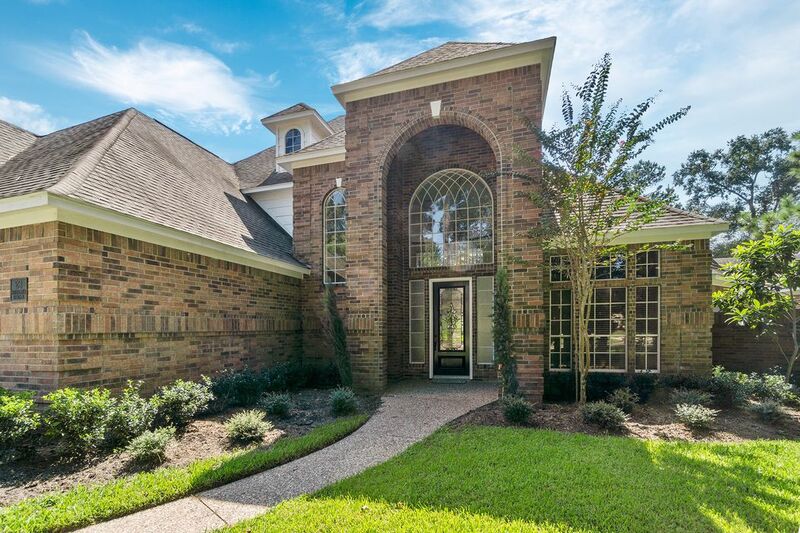 Beautiful brick surrounds the house and gives an alluring front elevation. Inviting front entry with pebbled walkway. Love the lead decorative glass door that is highlighted with a huge arch and glass arch window positioned above the entrance of the home. Three car attached (oversized) garage with a long driveway and side entrance. This design adds beauty to the front elevation of the home. 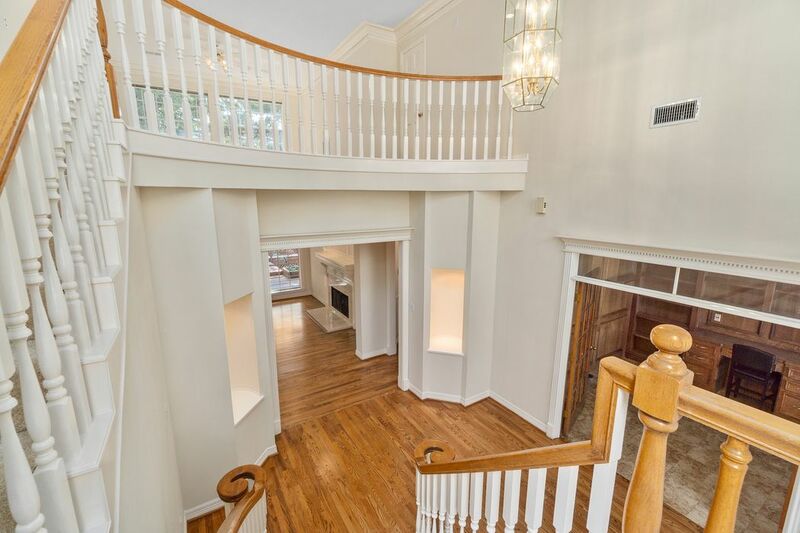 Lovely open staircase leads up to the second level. It also adds charm to the front foyer of the home. Wonderful art niches on both sides for display. The layout of the home is fabulous for displays art and will help highlight the stunning craftsmanship of decorative millwork. Glamorous formal set up for a large dining and living room. Wonderful views of the back deck through the wall of windows. 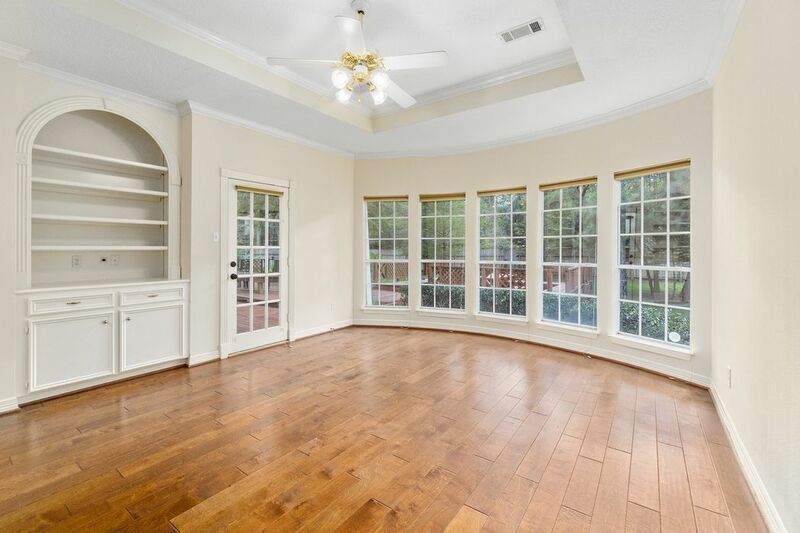 Luxurious master suite with a wall of windows, arch shaped built-in media center, glass door leading to the patio and trey ceiling with crown molding. 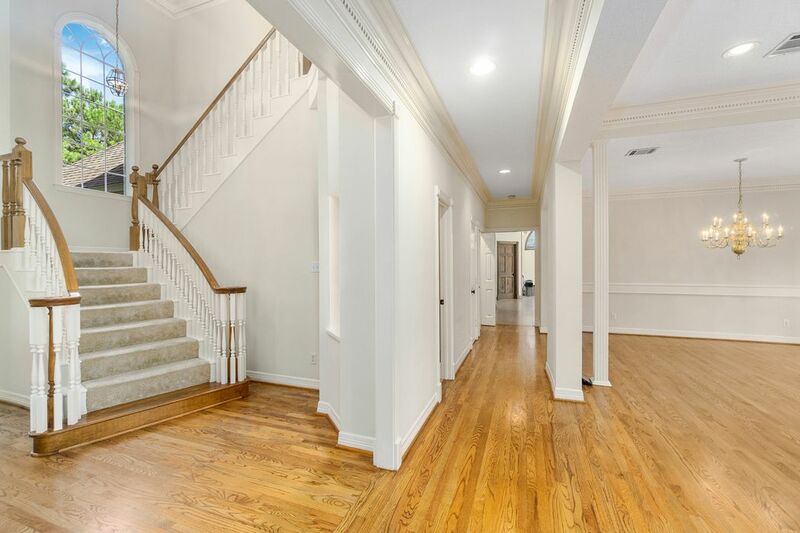 The rich hardwood flooring from the main living areas of the home is carried into the master suite. 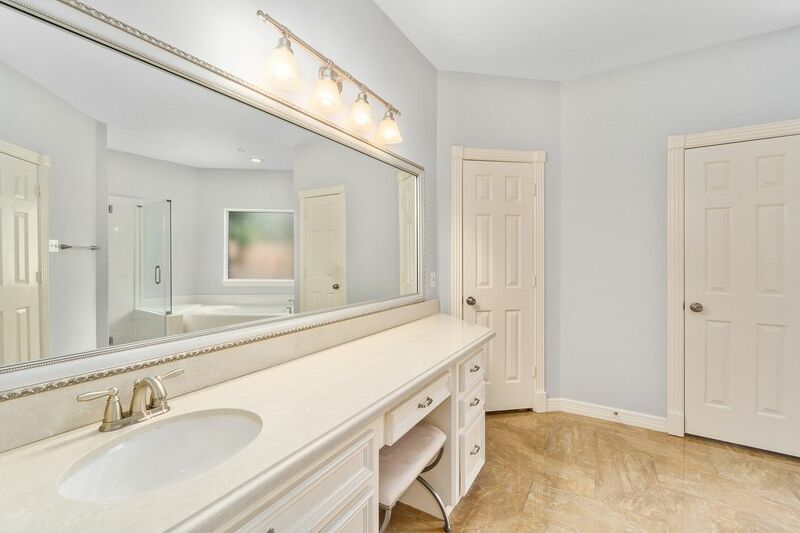 Beautiful master bathroom with lovely white quartz counter tops and brushed nickel fixtures. 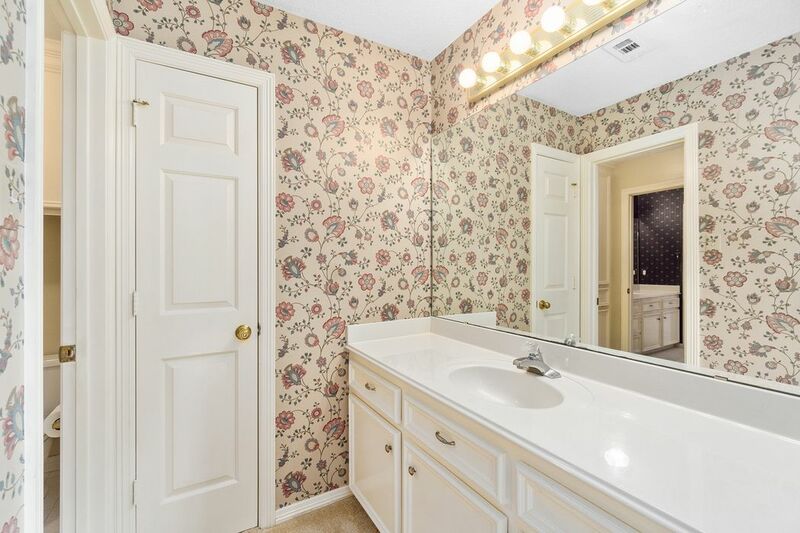 Plenty of vanity space and dressing area. 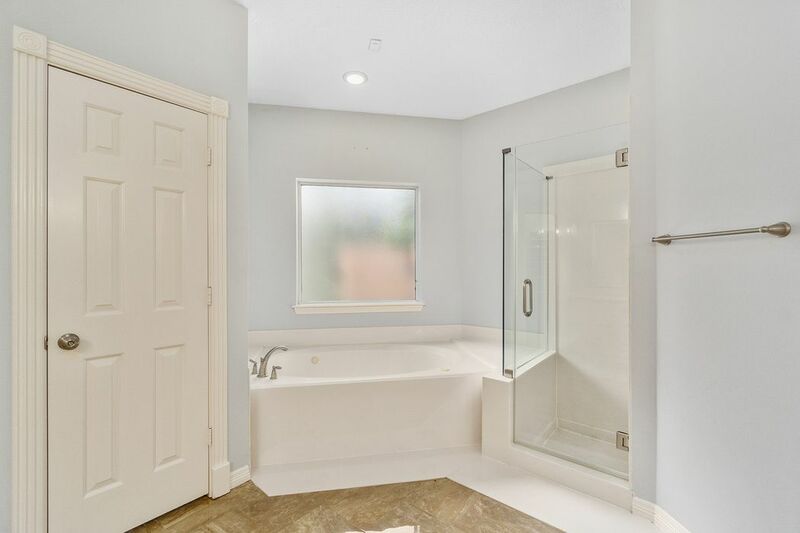 Separate whirl pool tub and stand up shower with seamless glass surround. Alluring exposed brick fire place with a wooden mantle. Great views of the backyard and patio. 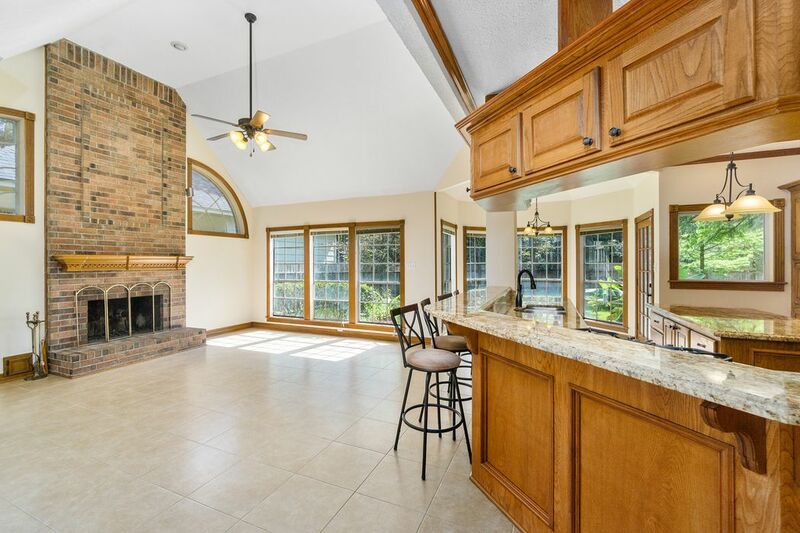 Open island kitchen to the den with lovely wood trim and crown molding. Kitchen comes with upgraded Kitchen Aid appliances including a warming drawer. 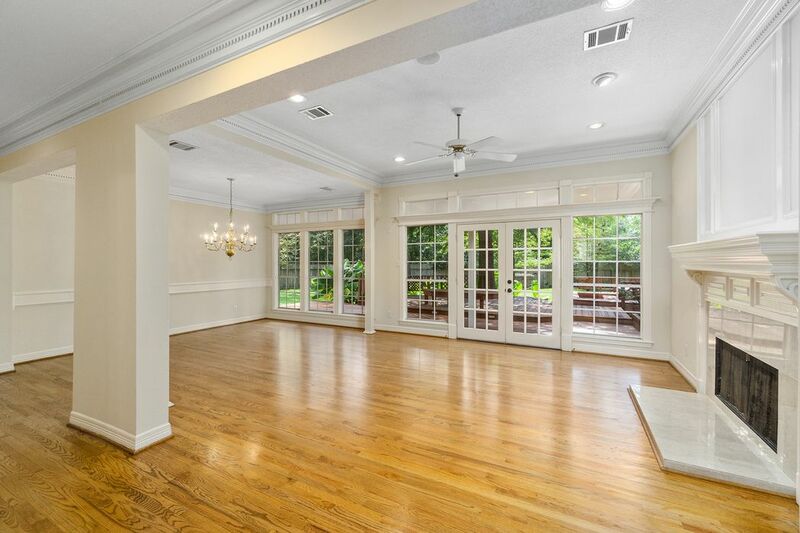 Fabulous space in the main living area/den with high ceilings and lots of windows. Open room concept to the kitchen and breakfast area. 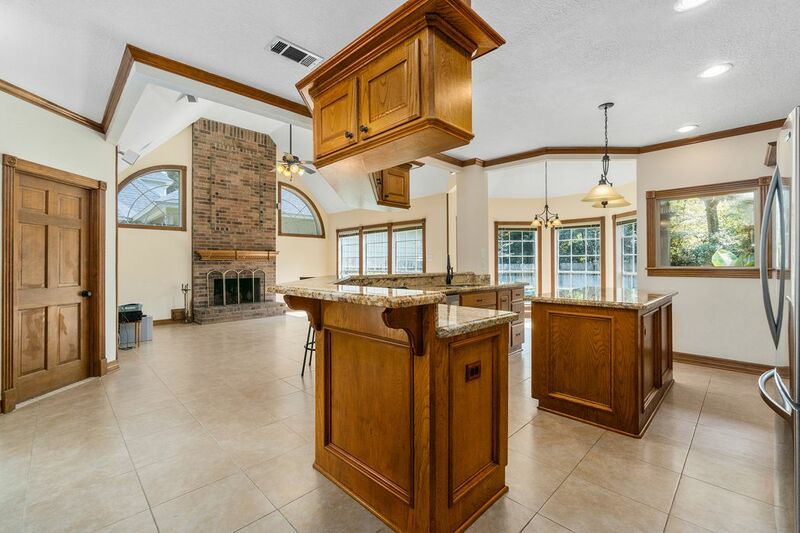 Built in speakers located in the den, kitchen and outdoor patio area. 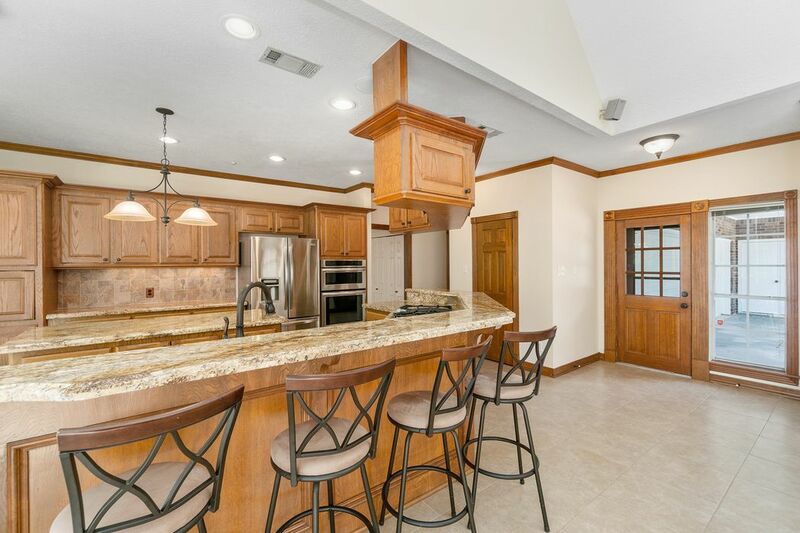 Wrap around bar gives plenty of bar stool space. Large pantry located to the side of the kitchen. 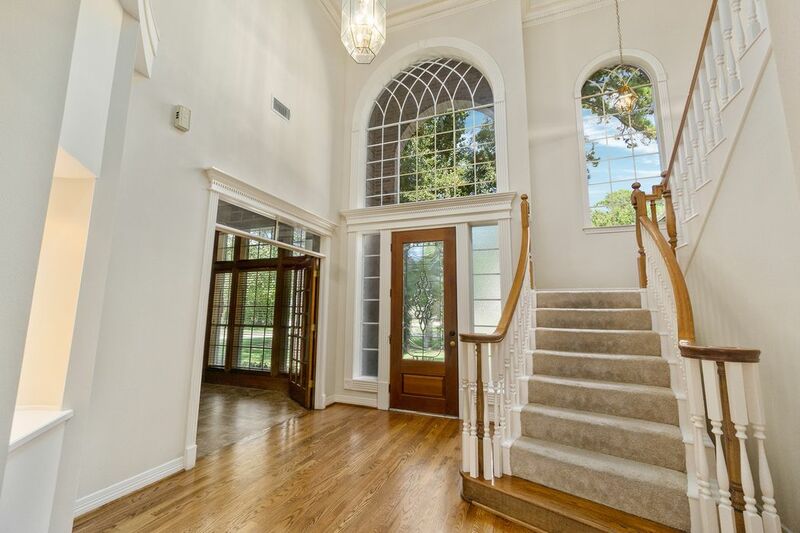 Custom designed windows with intricate woodwork trim adds character to the home. 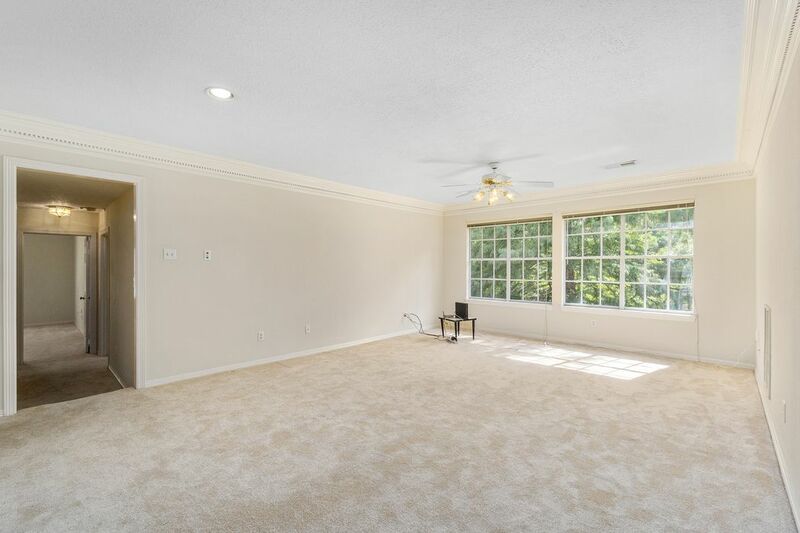 Open spacious feeling found throughout this beautiful home. 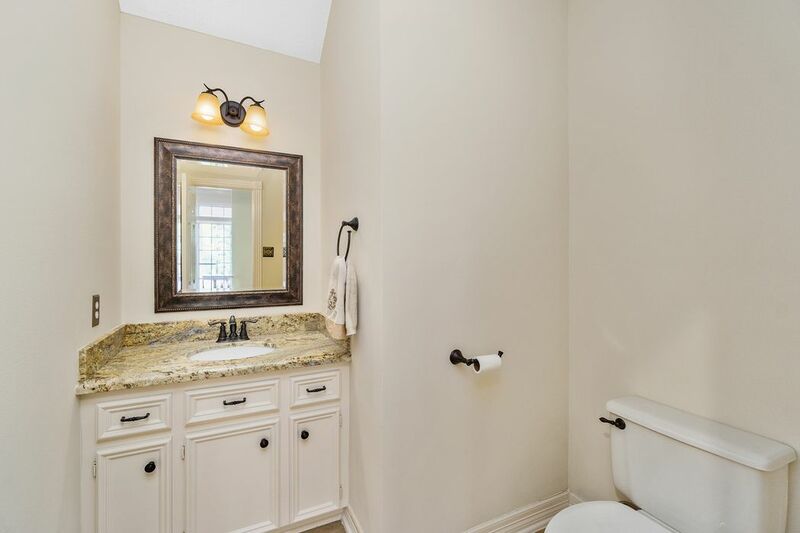 Large powder room with granite counter tops. 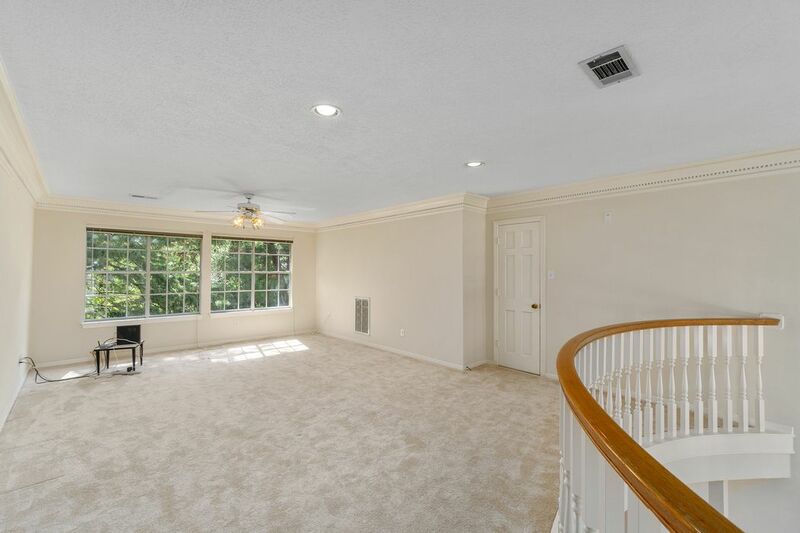 Large open upstairs game room that also includes the decorative crown molding. Another view of the game room that has a window looking down to the backyard. 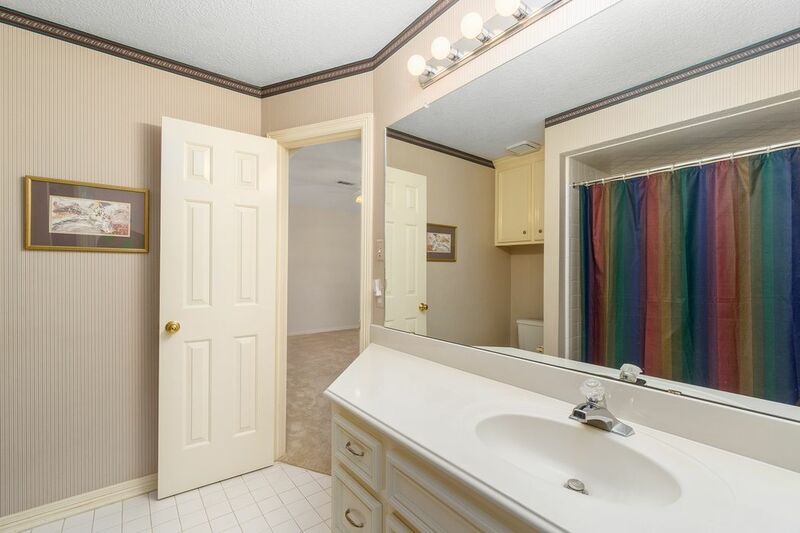 One of the spacious secondary bathrooms located upstairs. 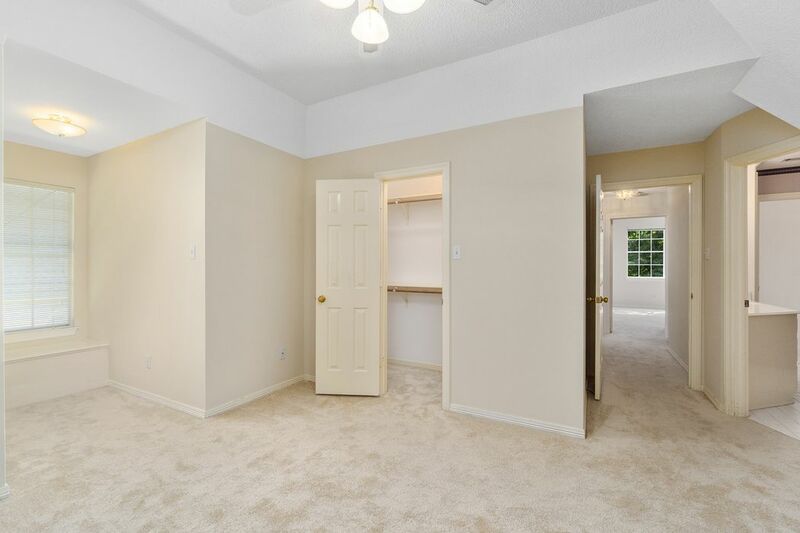 All of the secondary bedrooms are very large with walk-in closets. 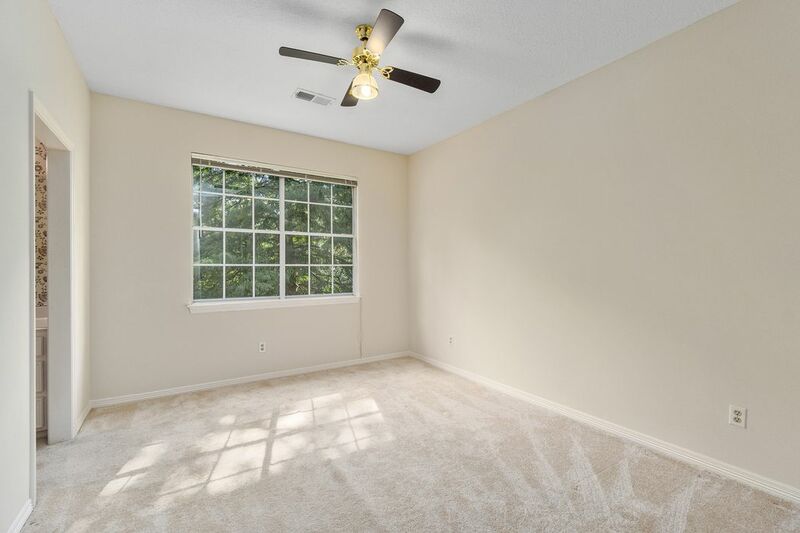 This room comes with a raised ceiling and an additional bump-out with window. 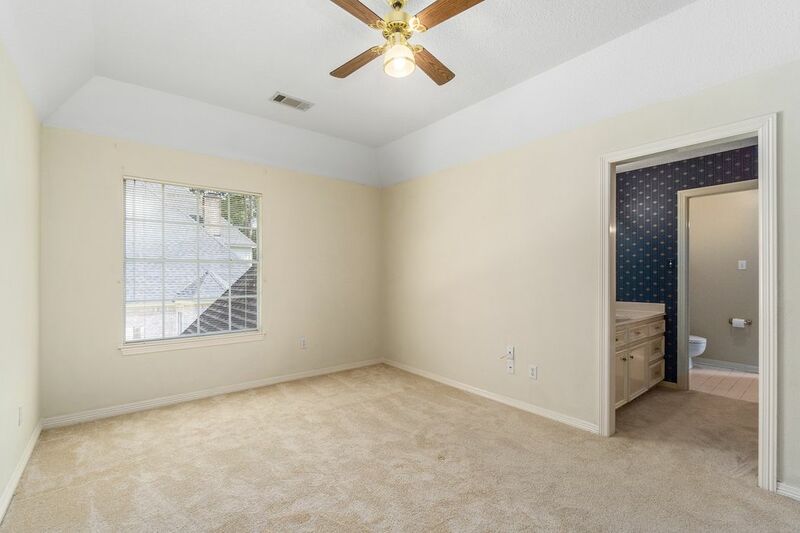 This spacious bedroom comes with a Hollywood bathroom. One side of the Hollywood bathroom located upstairs. The other side of the Hollywood bathroom. 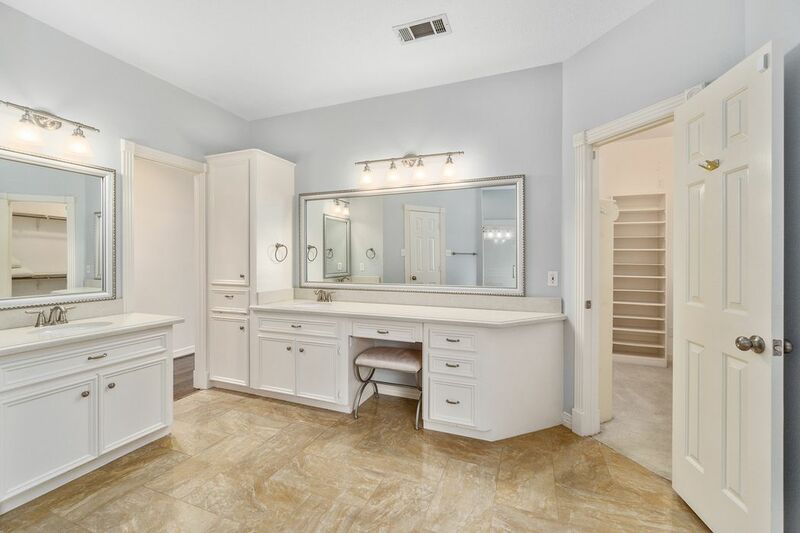 Fabulous vanity space and lots of cabinets. Lovely four bedroom floor plan with great space in every room. The home is light and bright and completed in a neutral color palette. 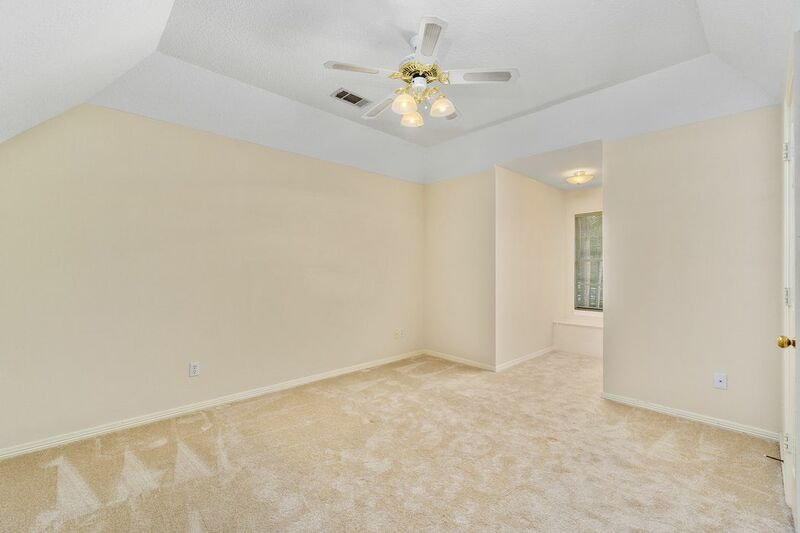 Very large bedrooms located upstairs with tall multi layers ceiling heights. 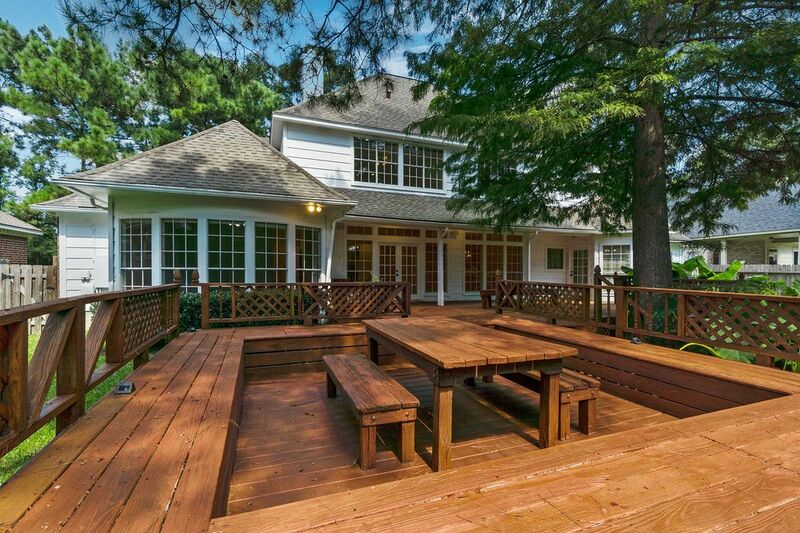 Fabulous back wooden deck of multi levels with built-in benches. 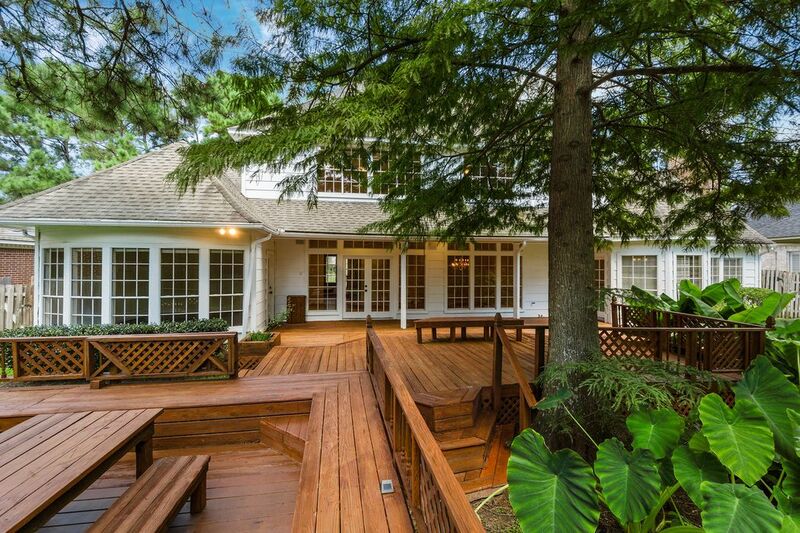 Gorgeous back elevation of the home with tons of windows and glass French doors. All of the windows gives natural lighting to the inside of the home. 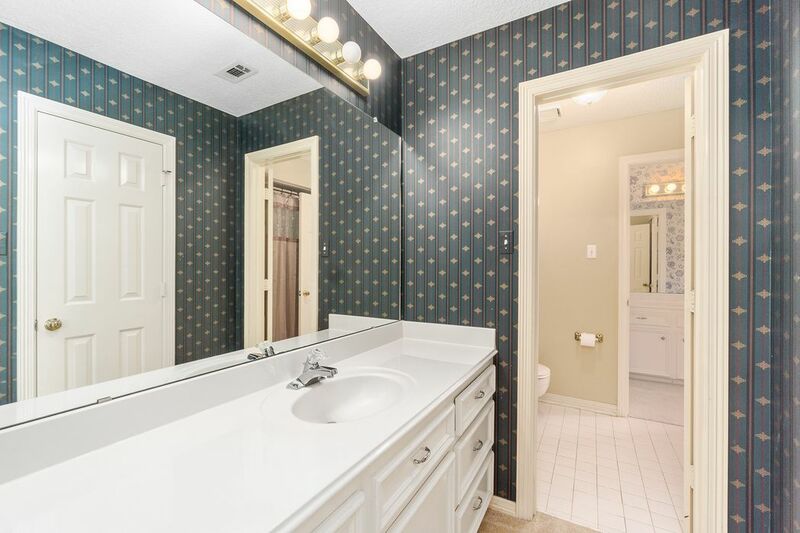 $494,000 4 Bedrooms3 Full / 1 Partial Baths3,482 sq. 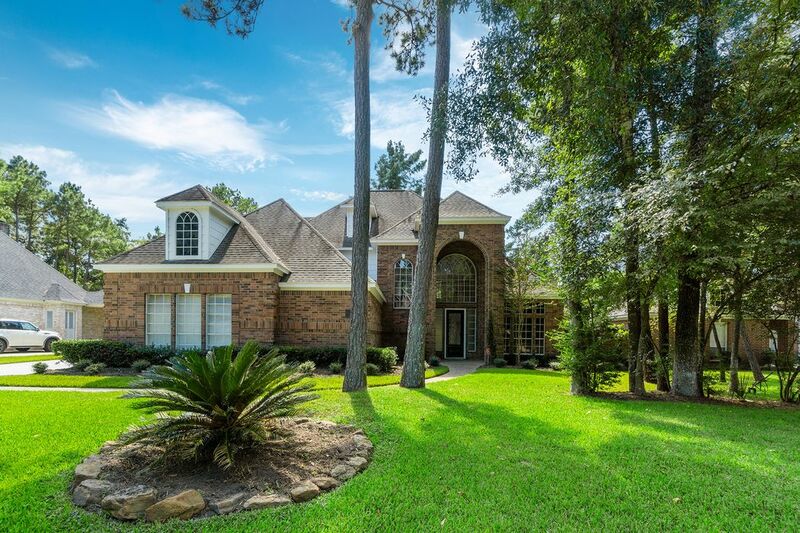 ft.
Beautiful 2-story custom home located in the Woodlands. 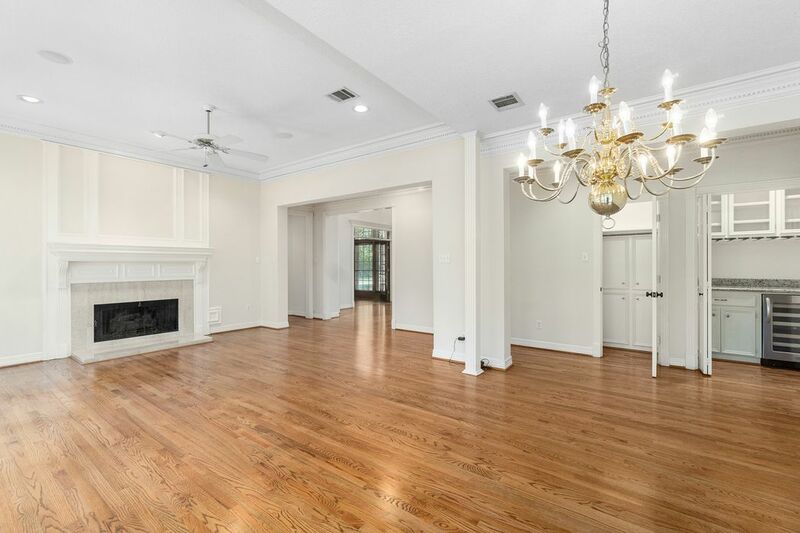 New interior/exterior paint, detailed and extensive crown moldings and high ceilings. 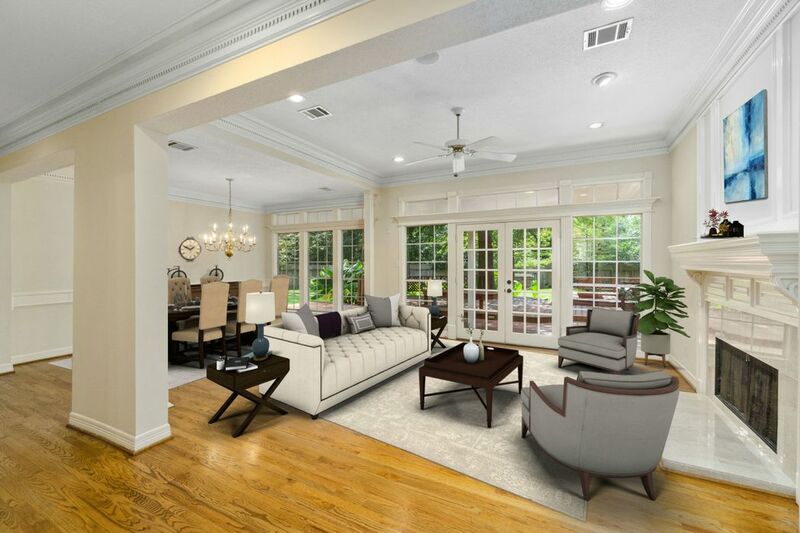 Stately study and formal dining and living rooms. Den wired for surround sound and speaker controls inside and out. Bar with wine cooler and storage. 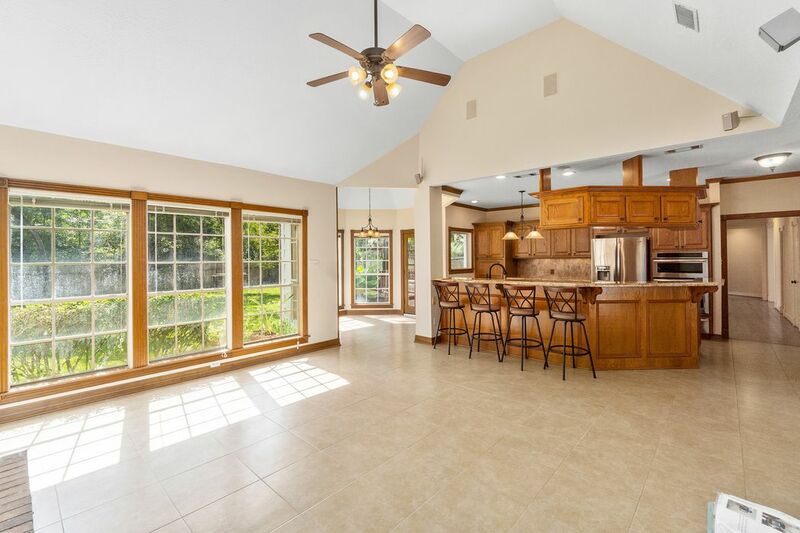 Island kitchen with extended breakfast bar, Yellow River granite, KitchenAid appliances including a convection oven, microwave, refrigerator, extra quiet dishwasher and warming tray. Small appliance storage and pull out drawers in kitchen. 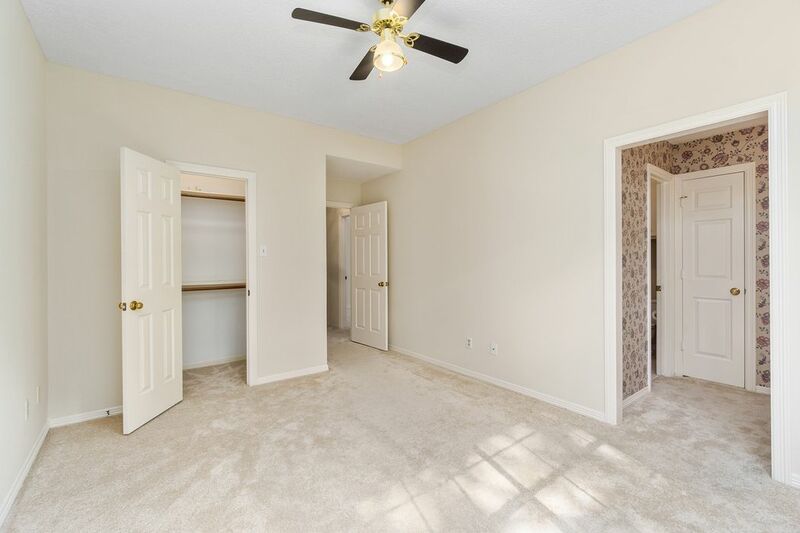 First-floor master suite, double vanities and walk-in closets. 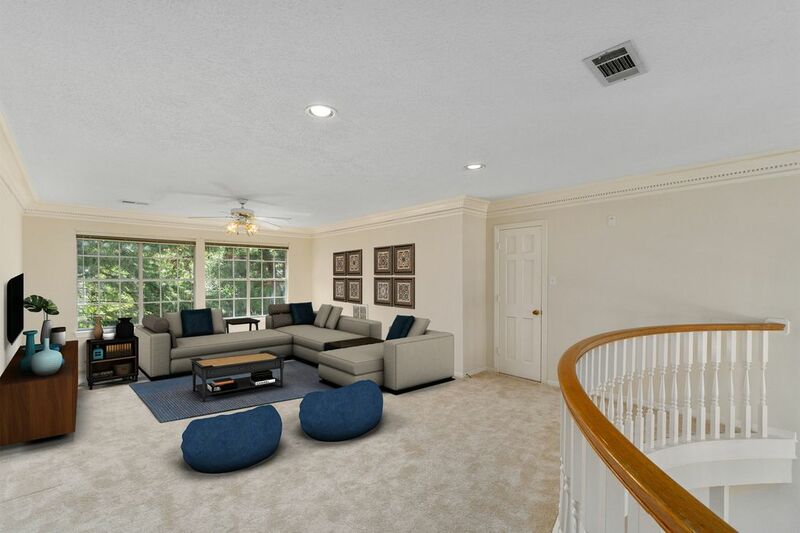 Spacious gameroom upstairs with 3 secondary bedrooms. 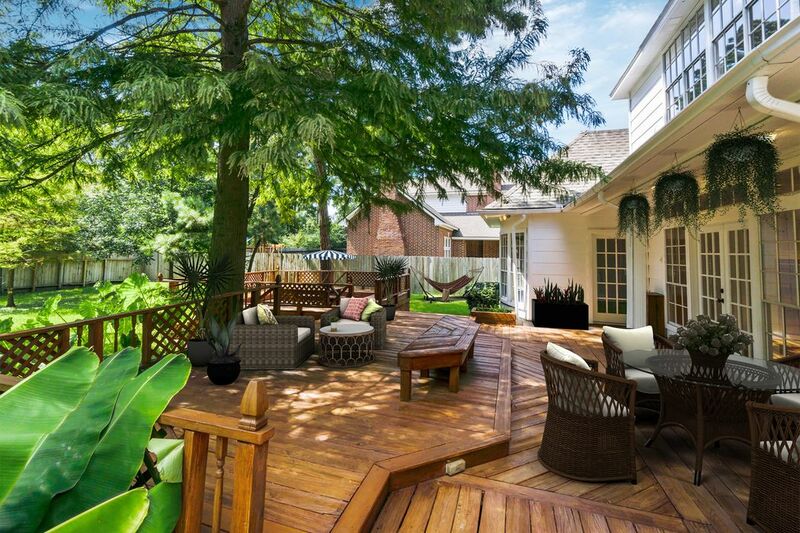 Entire back of home filled with windows, providing spectacular views of backyard, extensive custom deck and brick barbecue pit. Finished garage with built-ins and tons of storage. 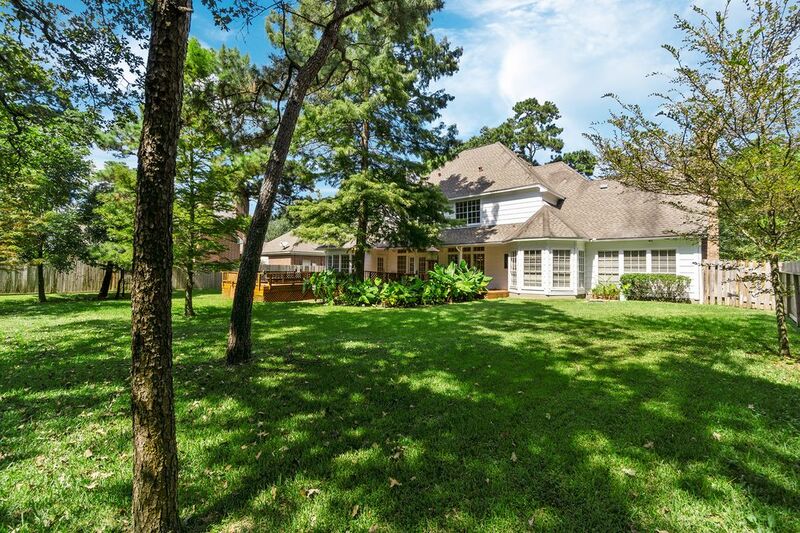 Close to Hughes Landing, Market Square, Woodlands Mall, medical facilities and convenient to Exxon/Mobil campus.